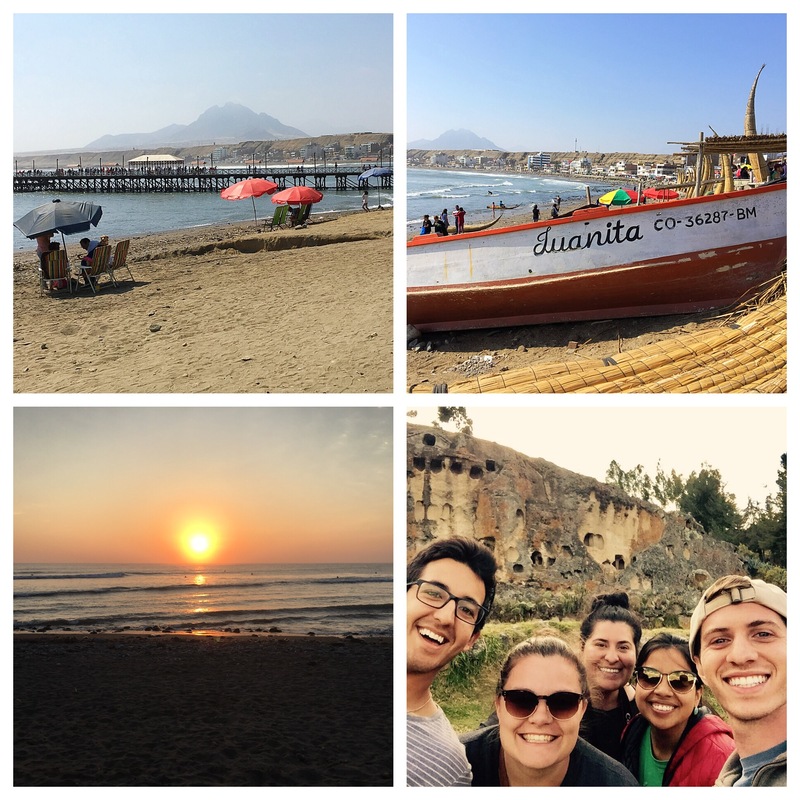 Throughout the past two months, I’ve been living in Huanchaco, Peru, and even though my trip is officially over, I wanted to dedicate a post to the town I called home this past summer. “Huanchaco is a surfing and fishing village about 30 minutes north of Trujillo- the capital of the region, La Libertad, and the third biggest city in Peru. Huanchaco is best known for having waves that are surfable year-round and for it’s traditional ancient fishing methods using reed fishing boats called Caballitos de Totora. These boats data back 3,000 years and numerous festivals throughout the year celebrate this fishing culture. The town of Huanchaco has about 5000 inhabitants, and is home to several shanty towns that are largely populated by migrants from the highlands. Many of these migrants came to the coastal region due to extensive flooding caused by the natural phenomenon El Niño in 1997/1998. In addition to the influx of migrants over the past twenty years, Huanchaco has also had a small but significant increase in the number of European expats living in the area. This population change is largely related to the increasing presence of international NGOs and international schools in the Trujillo area, as well as to the pleasant climate and laid-back lifestyle” (paseoprogram.com). The peaceful and serene atmosphere in Huanchaco is truly unique and refreshing, and the locals are incredibly kind and welcoming. While it can be difficult adjusting to a new location in a different country, and while it can often be strange and uncomfortable calling another place your home, things are different in this town. In Huanchaco, home is exactly the word one would use to describe the sensation you experience while staying here. Aside from being able to live in such a wonderful town, throughout this experience, I was fortunate enough to have made such great friends who truly enhanced the feeling of being home. Living and working in Peru alongside incredible individuals in such a beautiful country has been the experience of a lifetime, and one that I hope will take place again in the near future. (Stay tuned for more on that later). In the meantime (of course, until tomorrow), I’ll end on this note. It can absolutely be nerve-racking and even terrifying to pick up and move to a different country to pursue a new adventure. We don’t all need to make such drastic changes, but at least being open to new possibilities and adventures is truly important. A challenge that we can all work towards overcoming is not allowing our fears to overpower our desires to pursue new experiences. We never know what awaits us on the other side if we don’t take a leap of faith once in a while and try something new and exciting.